From #1 New York Times bestselling author Stephen King, the iconic, spine-tingling story collection that includes winners of an O. Henry Prize and other awards, and "Riding the Bullet," which attracted over half a million online readers and became the most famous short story of the decade, as well as stories first published in TheNew Yorker, "1408," made into a movie starring John Cusack. "Riding the Bullet" is the story of Alan Parker, who's hitchhiking to see his dying mother but takes the wrong ride, farther than he ever intended. In "Lunch at the Gotham Caf ," a sparring couple's contentious lunch turns very, very bloody when the ma tre d' gets out of sorts. "1408," the audio story in print for the first time, is about a successful writer whose specialty is "Ten Nights in Ten Haunted Graveyards," or "Ten Nights in Ten Haunted Houses," and though Room 1408 at the Dolphin Hotel doesn't kill him, he won't be writing about ghosts anymore. And in "That Feeling, You Can Only Say What It Is in French," terror is d j vu at 16,000 feet. 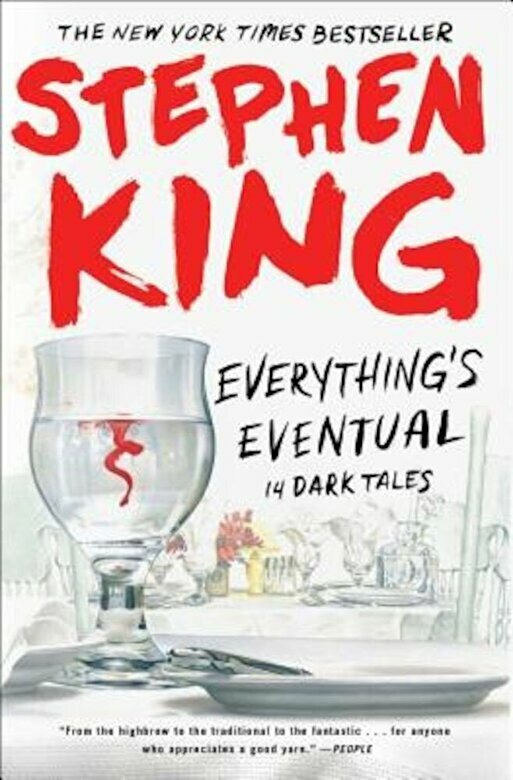 Whether writing about encounters with the dead, the near dead, or about the mundane dreads of life, from quitting smoking to yard sales, Stephen King is at the top of his form in the fourteen "brilliantly creepy" (USA TODAY) tales assembled in Everything's Eventual. Intense, eerie, and instantly compelling, they announce the stunningly fertile imagination of perhaps the greatest storyteller of our time.